Port Augusta is set to get Australia’s largest solar thermal power station – and the local community couldn’t be happier. 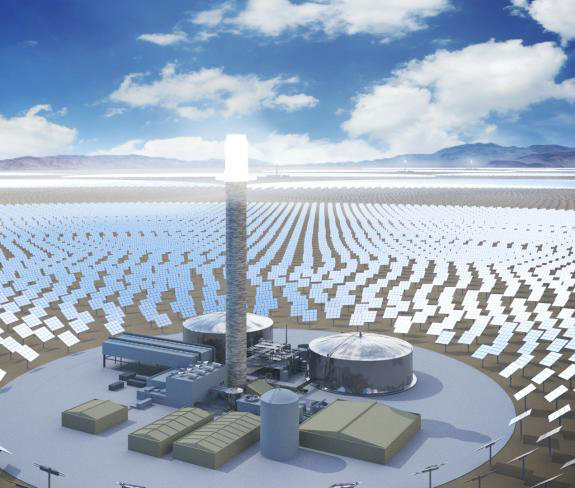 Late last year, the South Australian Government announced it had signed an agreement with SolarReserve to build a 150 MW solar thermal power station with eight hours of energy storage near Port Augusta. The decision came on the back of Alinta Energy’s decision in 2015 to close down Port Augusta’s coal-fired power station and a community campaign to replace it with a solar thermal station. Alinta Energy CEO Jeff Dimery said for the four and half years they had been running the power station, they investigated all possibilities to find a viable economic solution for its continued operation. “During this period the company has incurred operating losses in the vicinity of $100 million while at the same time investing an additional $200 million to extend the operating life,” he said. Community group Repower Port Augusta had been formed a few years previously by residents aware that the plant was reaching the end of its useful life and who wanted it replaced by renewable energy. They liked the idea of solar thermal because it had potential to save a number of the jobs set to be lost in the power plant closure. So they began to campaign within the local community. “It came to our attention that they were petitioning so hard in around 2013/14, and we started investigating the site in a serious way,” said Daniel Thompson, SolarReserve’s Director of Development. SolarReserve was founded in California in 2008. 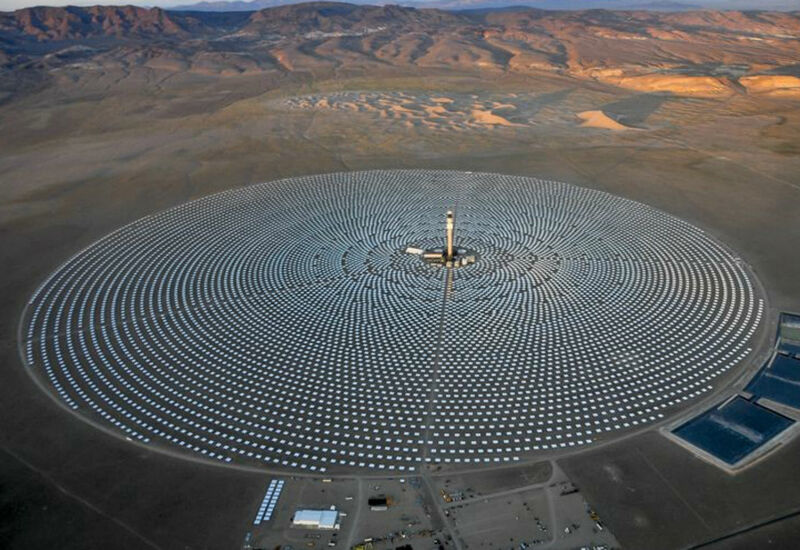 It already operates solar thermal plants in the US, with other solar plants in South Africa and other projects in development around the world. The Port Augusta project will be similar to Solar Reserve’s Crescent Dunes project (pictured here) in Nevada, US. Thompson said to finance the project, they needed a long-term power contract so they participated in the South Australian Government’s competitive tender for its annual power contract including schools, hospitals, the rail network, etc. “We are supporting this nation-leading renewable energy project because it will deliver more competition into our energy market and put downward pressure on power prices for households and businesses,” said then Premier Jay Weatherill at the announcement of the project. The agreement signed is similar to a standard power purchase agreement for renewable energy, except that emphasis is placed on the available capacity of the facility during peak demand periods rather than just the energy that can be delivered in kilowatt-hours. And this is where solar thermal comes into its own as a generation technology. The project, dubbed Aurora, will involve a 240 m tower surrounded by more than 12,000 heliostats covering an area of around 700 ha. 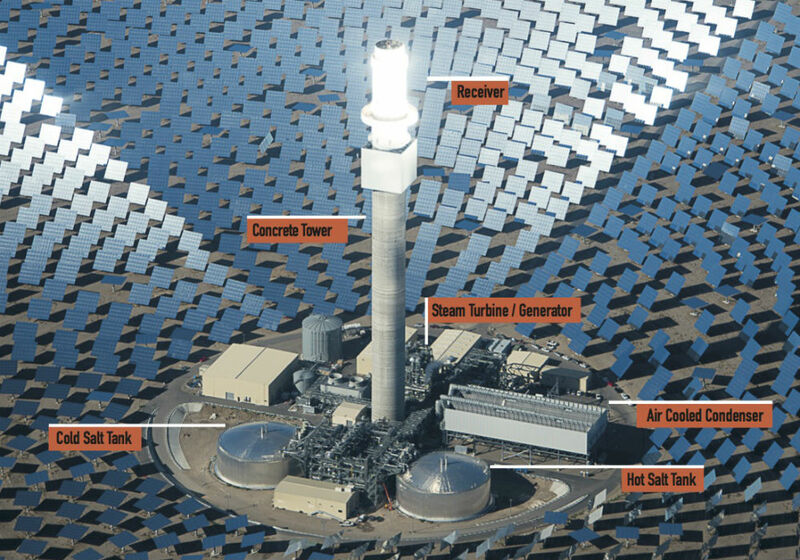 The energy reflected by the heliostats onto the receiver at the top of the tower heats up molten salt which is then stored in a heavily insulated tank. The hot molten salt can then be used whenever it is needed to create superheated steam to drive a standard steam turbine similar to what you would find in a coal or gas-fired power station. “The critical part of the technology is that we are able to decouple how we collect energy and store it from how we generate electricity, so that gives us enormous flexibility in what we do with that electricity supply,” Thompson said. “Because we’ve got that massive tank of molten salt, about 31,000 t, what that enables us to do is collect energy during the day, store it and then dispatch that when the grid needs it most. We also have no variability in the output of our facility because there is no connection between how we collect and how we then generate. The salt is a blend of sodium nitrate and potassium nitrate, not unlike a high grade fertiliser. Even after leaving the heat exchanger that creates the steam, the salt is still around 288°C so that it can comfortably maintain its molten state. In its hot state, it reaches around 565°C. Both the hot and cold tanks are heavily insulated so they only lose about a degree celsius a day through the tank walls, depending on outside temperatures. The design of the receiver is the key to the technology, said Thompson, and the only area he doesn’t want to give too much away in terms of technical details. “It was developed by a company called Rocketdyne that builds rocket engines for NASA,” he said. The molten salt travels through thin-walled tubes within the receiver. These are made out of “exotic materials” coated with a “proprietary high absorption paint” and arranged in a “particular configuration” to manage the high heat flux. “We don’t disclose too much about the make up of that, but that’s really I guess what separates SolarReserve from its competitors in terms of how we’re able to efficiently collect and store energy,” he said. Thompson is an electrical engineer who worked firstly on off-grid wind-diesel systems, then on larger scale on-grid wind farms. He joined SolarReserve five years ago and said that while the technology is different, getting the balance right between community, environment, technology, and project viability is largely the same regardless of the type of project. Normally, one of the big challenges on such a project would be managing community expectations and concerns, but here they are enjoying overwhelming support, which allows them to focus on other issues. But the project is not without its challenges. A lot of people in the electricity industry are suspicious of renewable projects since the 2016 South Australian blackout. He has to reiterate that from an interconnection point of view, the output is no different to a coal-fired power station. Water is also an issue in this arid part of South Australia. “We do require very pure fresh water for this facility for two reasons,” he said. And even though the storm that blacked out the state in 2016 blew down a number of power pylons in the process, Thompson is confident in the resilience of his system. “The heliostats are rated for wind speeds of up to 160 km/h, which is getting up to cyclone levels,” he said. The heliostats concentrate the sun’s energy on the receiver at the top of the tower. 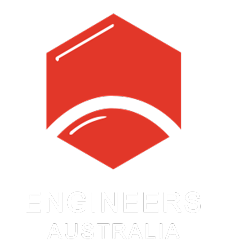 The fact that the technology is new to Australia has also made construction more complicated. “We’re working pretty hard to get the balance right for securing a construction contractor that can build the facility at the right price for what we need, but also can deliver the benefits that the community wants and we want, and that is really around maximising local content,” he said. He believes job creation is one of the key advantages of this technology over traditional renewable projects. “In a 150 MW wind farm or solar PV facility, you might have 200 people building it and a dozen people operating and maintaining it,” he said. Thompson said they’re looking at a 30-month construction period so they’re anticipating being online by the end of 2020. And they have their eyes set on other parts of Australia as well. “We have been very public in our ambition to build at least six of these in the next decade,” he said. “We are progressing development and site exploration on a number of those future sites at the moment. What we look for principally is the solar resource. Because we need a large number of people to operate and maintain these facilities, we want to be near to a community. He sees the greatest potential in South Australia and Queensland in the near future, but will also be looking at New South Wales and Western Australia further down the track.